If there is something every house buyer is interested in, then those are the closing costs. Evidently, every house-buyer wants to know as much as he can about the property, the sellers, the lenders, if they’re going for a loan, but the ultimate question is definitely – how much will the closing costs be? If you’re in this situation, and this is a question forever on your mind, here is a short yet definitive guide the closing costs. Simply put, closing costs represent all the fees typically associated with the closing of a real estate type of transaction. Meaning the actual sum of money you will have to pay once every single aspect of the real estate transaction is settled between you, the seller, and the real estate agent. The ‘closing’ point’ is considered to be the actual moment when the property you purchased is transferred from the seller to you, the buyer. All closing costs can be incurred by either the seller or the buyer. 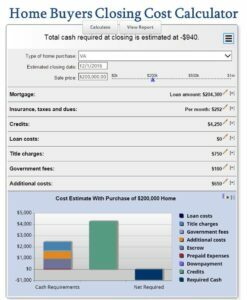 What are the expenses that go into the ‘closing costs’? The first thing you need to know is that the closing costs will always vary. There is no format into which they fit so that they can be the same for everyone. They typically depend on the place you are buying the property in and the property itself. Here are the expenses that traditionally go into a closing cost. The original loan fee. Lenders charge you this fee for processing all the paperwork on your behalf. 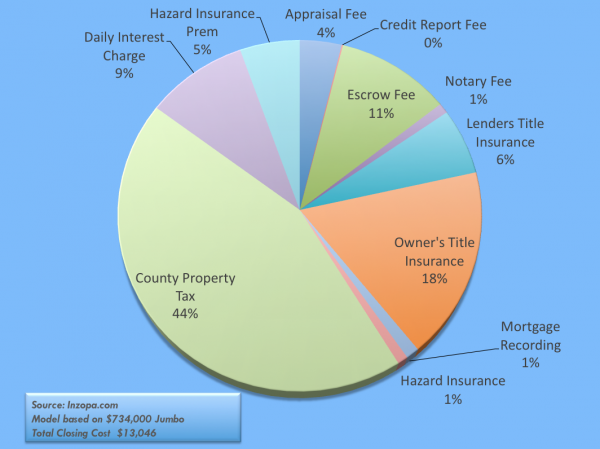 The cost of the inspection on the property. This can be required either by you or by the seller. 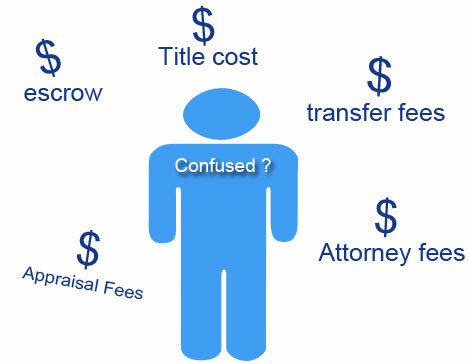 The fee for the title insurance, which protects the lender should the title prove not to be clean. The underwriting fee that covers the price of evaluating the mortgage loan application. As stated above, there is no fixed amount as far as closing costs go. They will depend on some criteria and on which of the above taxes and fees you will actually have to pay and which you won’t. However, it is estimated that every home buyer will pay some 2% to 5% of the original purchasing price in closing costs. As an example, let’s say your property costs $150 000. This means that you can pay anywhere from $3000 and $7 500 as closing costs go. A good thing to know here is that all lenders are obligated by law to present you, the buyer, with a Loan Estimate. This will include the closing costs, which you can ask your bank to point out explicitly. They are bound to send you the Estimate within three days of your applying for one of their loans. Still, keep in mind these numbers are exactly what their name makes them out to be – an estimate. Things can still change as the transaction progresses. This is where the Closing Disclosure comes in. This, as opposed to the Estimate, comes to you from the lender three days prior to the closing point. What you can, in case you notice a sizable difference between the estimate and the closing disclosure is to simply talk to your lender. Ask them to break down the closing disclosure point by point and show you what they changed since the estimate. You may agree or not. Although usually people tend to refer to these as two separate things, they are not. They are one and the same thing, seeing as they render the same result. The only difference is given by the moment in time when you use them. As shown above, if you’re at the beginning of your transaction, you will receive an estimate of your total closing costs. If you’re very near the end, you will get the actual closing costs. You have several options when it comes to calculating or estimating a real estate transaction’s closing costs. You can do it yourself, ask your lender to calculate them or wait for them to present the costs to you. As mentioned, they are required by law to do so. If you decide you do it yourself, you can find quite a large number of calculators online, which you can easily use. They are simple calculators that explain to you in detail what closing costs are made of, and that ask you to fill in some basic information on your transaction. Usually, the required info consists of the location of your property, the targeted home price, and the down payment. Based on these they can calculate an estimate of your closing costs. You can find several of this calculators here, as well as here. Are home buyers able to avoid closing costs? Here is an interesting question every home buyer probably asked himself at some point. The answer? Yes and no. What does this mean? That you can skip the fees you have to pay upfront if you get a no-closing cost-mortgage. As the name suggests, you won’t be paying any closing costs on your mortgage. But, this will cost you in the long run. Since we’ve listed above all the fees that go into a closing cost, you can imagine no lender wants to pay them for you. Therefore, they will have to set higher interest rates for you, so that they can get their money back over the years. Also, they might include the closing costs in the total cost and allow you to pay them as you go and not up-front. But you will be paying them. So, the answer to the main question, even though it’s ‘yes and no’, balances towards ‘no’, depending on how you look at it. In the end, the best way to go about this is to admit that closing costs are simply something you have to deal with one way or another. There is paperwork that needs to be handled, inspections to be made, and people, other than you, involved in the transaction that must be paid for assisting you. It’s all part of the deal.